It was earlier announced that Warner Bros would be working together with Harry Potter series creator and author J.K. Rowling to create a movie based on a wizard book "Fantastic Beasts and Where To Find Them". 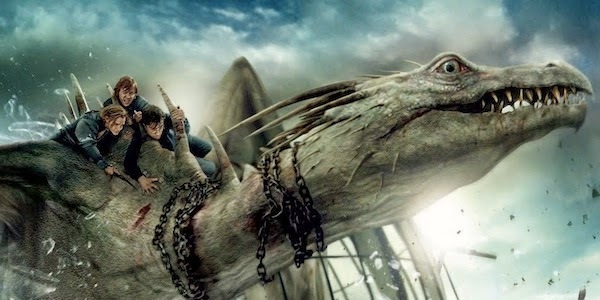 Now a new update emerged online about the Harry Potter-spinoff project, the movie studios unveiled that they are actually planning to release three movies out of the "Fantastic Beasts". Rowling is currently working on the first screenplay. The "Fantastic Beasts and Where To Find Them" is one of the textbooks used by Harry Potter, Hermione Granger and Ron Weasley during their school days at Hogwarts. And in 2001 JK Rowling released the actual book for Charity Fund Raising project in the UK which earned millions. When the book was released, it did not have Rowling's initials or name on it, it was penned under the name Screwt Scamander the same author name in the Harry Potter universe. This "Fantastic Beasts" trilogy is not going to be a direct sequel nor prequel to the Harry Potter book and movie series as the events in this one took place 70 years before Harry Potter was born and it is set in New York City, Harry was born in 1980. So when this first spinoff is going to be released? That has to be announced yet.